Have you ever asked her a recipe? Aunt's cookies are delicious, pasta has that special taste, but when you ask the recipe you're like starting a no-sense chat. "Take a glass of milk" - which size, how much milk? - "Handful of flour" - obviously you must know what her hand looks like - "a spoon of sugar for each glass of milk"... I lost years to catch recipes from my Italian aunts, it seems they have got food scales only as decorative objects. Priscilla, class 1909, I think she was a sweet aunt, in fact her directions for tatting are as clear as the aunt's way to pass recipes on! It says fasten a 2nd row (that is the inner insertion of rings) of rings 4-2-2-2-2-2-2-5 ??? Unbalanced? What? OK, you know it needed some test tatting. 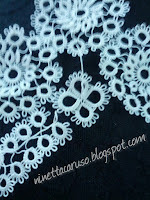 Then you should tat 4 little detached flowers with 4 petals of 6-2-2-2-2-2-2-2-6, to be placed at corners. "Make a row of insertion all the way around and put flowers in corners". OK aunt, I'll do it. 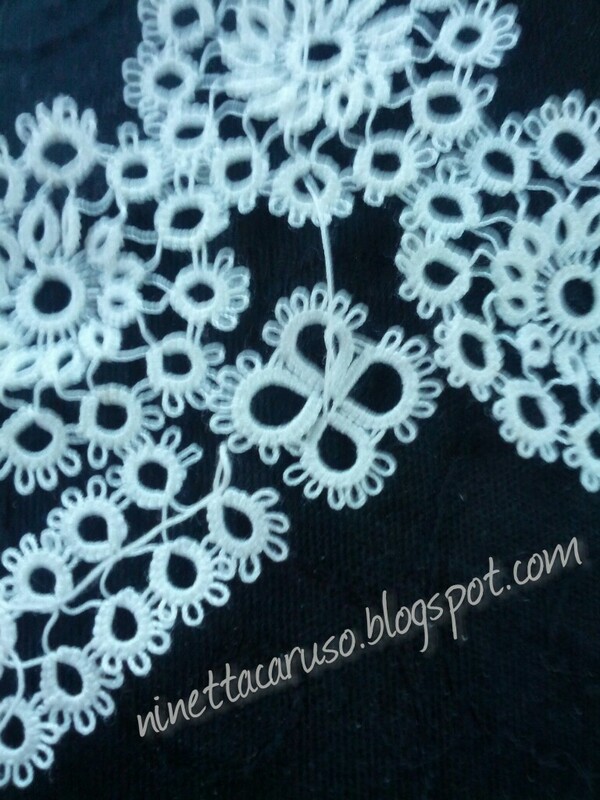 Thread is dmc size 100, pattern is from Priscilla Tatting Book #1, page 12, picture 30. 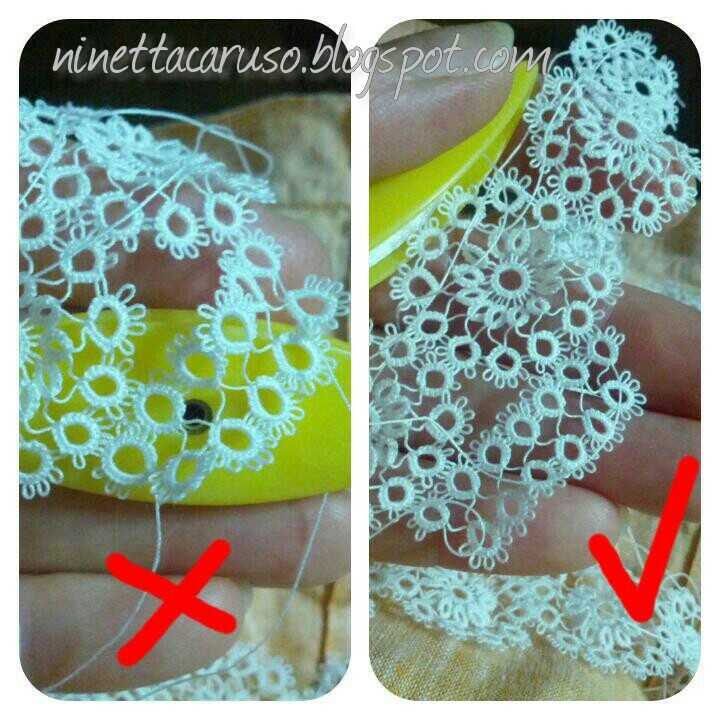 It wasn't difficult tatting the flower in the corner without cutting the thread, just leaving the sufficient bare thread. What the aunts missed, the nieces are making up .... it stays within the gene pool. The edging looks superb ! You are making it difficult to choose any one . Beautiful post, Ninetta! Thank you for your thoughtfulness and for your sweet aunts' participation. Thank you for your comments and welcome Katie! I'm enjoying so much this one, I could keep it away for my sons, anyway the thread came from a family legacy! I'm super impressed that you managed to decipher aunt's recipe! It's really beautiful in that fine thread. I am still smiling! Loved the story about the aunts and recipes. So familiar with the way 'recipes' are given by the aunts (and by grandmothers). 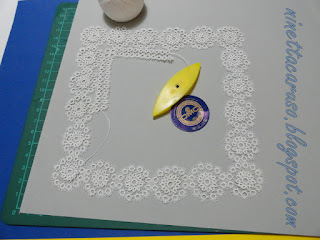 I think tatting was more common in Priscilla's time - people probably tatted much the same way as the aunts recipes, and everyone (at that time) seemed to know what to do and how to do it. If they didn't know, there were people they could ask. Here we are, trying to read their minds almost 100 years later. Sometimes it takes quite a lot of 'testing' to figure out what probably was 'simple' so long ago. Still....it is beautiful and you have helped the rest of us figure out this pattern. Thank you. :)) thank you for your words, I've to dive into the vocabulary again! Thank you everyone, I love hearing you smile! 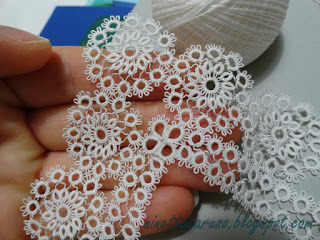 Well done working out your aunts recipe, Beautiful piece of tatting. With Dad's 6 sisters and three brothers I have many Aunts and loved your story. Perhaps we all have a bit of Aunt in us. 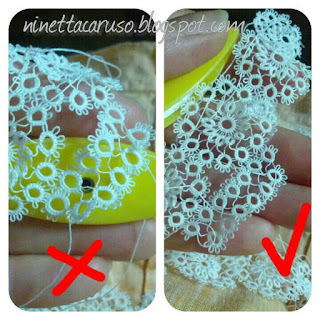 I really like this piece of tatting and you are so fast, must be a nice rhythm you get into.